A TEENAGER'S big day of drinking earned him more than just a killer hangover when his drunken actions were picked up by police. 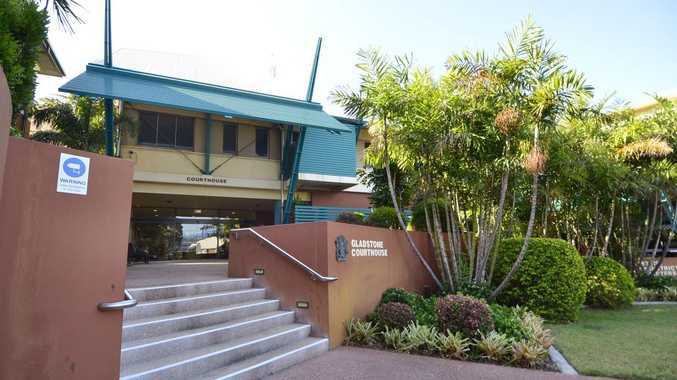 Eziekeal Anthony Charles Yow Yeh, 19, pleaded guilty to one count of wilful damage on Monday after a series of events landed him in Gladstone Magistrates Court. Yow Yeh told the court that on October 11 he had made his way to the pub for a drink the minute it opened at 10am. He said though he "stopped for a feed", he didn't stop drinking until about 7pm that night. But police prosecutor acting Senior Constable Balan Selvadurai said the defendant's heavy day of drinking got that much worse when he woke up inside a locked car. When police arrived, officers saw Yow Yeh sitting in the front passenger seat kicking the car's windscreen. Sen Const Selvadurai said police attempts to try to speak to Yow Yeh and find out what was happening were unsuccessful due to the defendant's level of intoxication. He said in addition to the smashed front windscreen, they also saw either side of the front passenger door was caved in and a dent in the roof above the occupied seat. Though Sen Const Selvadurai said the damage to the car was caused in an "unprovoked rage", defence lawyer Lauren Townsend said her client's actions reflected his anger at being locked inside the car, which captured acting magistrate Mark Morrow's attention immediately. "Why couldn't you get out?" he asked. "Because they (friends) had the keys on the outside your honour," Yow Yeh said. But Mr Morrow wasn't satisfied yet and asked why the defendant didn't just reach over to unlock the door on the driver's side, to which the defendant said he couldn't because he was too intoxicated. "You must've been pretty intoxicated if you couldn't move ... basically paralytic," Mr Morrow said. The defendant did not hesitate to agree. The court heard the defendant had already started a payment plan and was paying the owner of the car $80 per fortnight for the $240 worth of damage. Yow Yeh was put on a seven-month probation. He also pleaded guilty to two trespass charges, which occurred on a different day, and a fare evasion. He was fined $250 for each of these.